Summary: Wind down from a great workout the right way with Cool Down. Allow your muscles to relax and rebound for the rest of the day/coming days by actively and statically stretching the muscles post workout. Sit with the back off of the ground at a 45 degree angle. Hold the hands together in front of the chest. Rotate the hands as far as you can while keeping arms straight. The eyes follow the hands the entire movement. Return to the starting position in controlled manner. In all-4-up position on hands and feet. Form a straight line from head to feet. Bring one knee to the same-side lat while keeping all points of leg off the ground and keeping a straight line with the body. Keep the head and neck relaxed. Return to the starting position in controlled manner and repeat with opposite side. Lie on the back with legs extended. Keep the same hand position the entire movement. Keep the legs rigid the entire movement. Bring the hands straight up towards the head as far as possible, ensuring that the down leg remains in the starting position and the active leg does stays rigid. 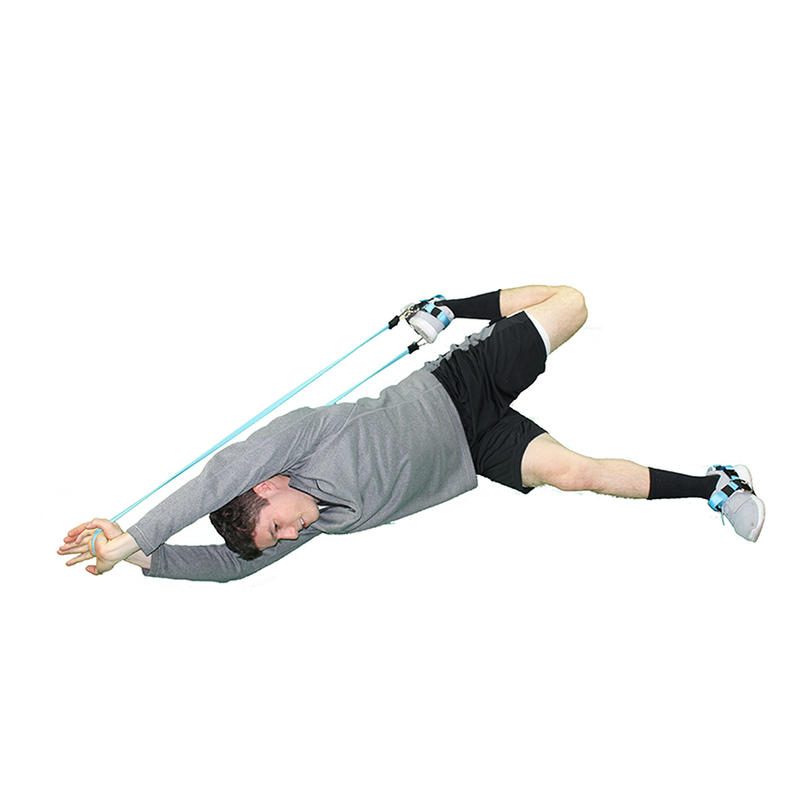 Standing tall, grab the band with the active side hand and bend your active leg knee so the foot comes up to the glutes. Bring the active hand up behind the head. 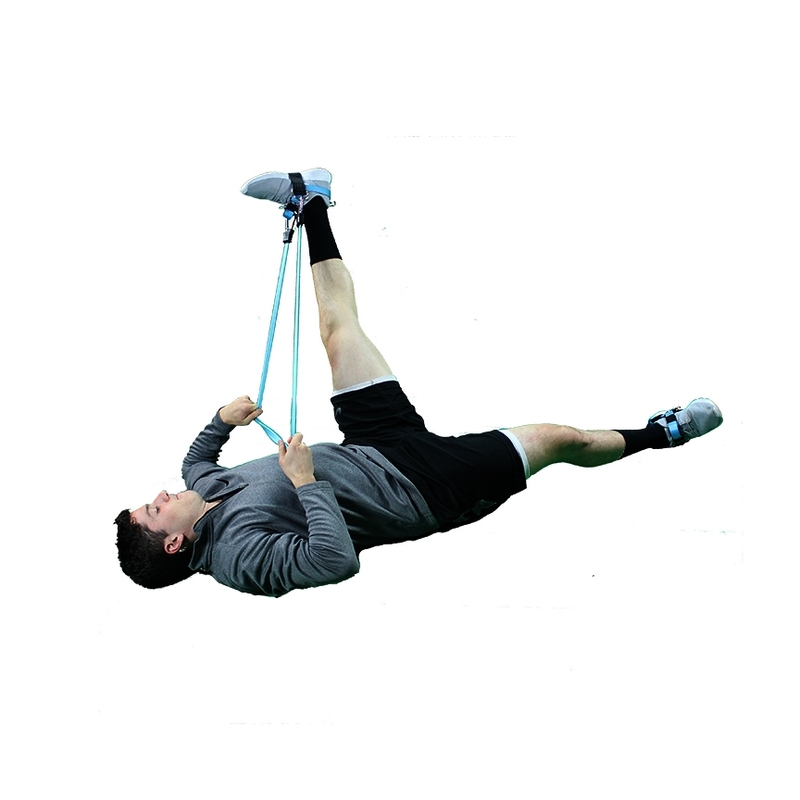 Pull the hands up to full extension above the head.